Magical Me STP Week 1 - What makes each of us similar and different? 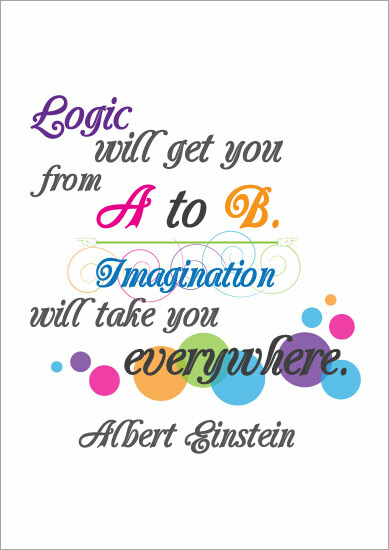 A beautifully designed typographic poster featuring the following inspirational and though provoking quote from Albert Einstein: “Logic will get you from A to B, imagination will take you everywhere”. This is part of a series of famous quotes relating to children and childcare that we have designed for parents, teachers and early years practitioners. They would look fantastic displayed at home or in your school or early years setting. They would work really well displayed in a frame as part of a quote of the week / month feature in your staff room. If you have a relevant quotation that you would like one of our designers to work on then please get in touch.